YouTube has made inroads in this world that no other platform has and perhaps ever will. It was the tube that replaced the so-called idiot box. It has more information that can perhaps ever be recorded in history books. No amount of database can substitute this mammoth tool and hence it is the one-stop shop for almost every human being on the planet to have an online presence and to get noticed. However, when it comes to uploading videos onto YouTube, there are several articles that talk about what content your video should contain, which bitrate you should use, how sophisticated your video should be and so on. What most of us tend to forget is that there are also statistics as to how may videos should be uploaded by every user. How many times you upload videos in a month? All these ideas require some hands-on experience and some amount of intellectual skill to fathom. But if you’re not that interested in raking your head over this one, the content below should surely help. Upload frequently. Aim to publish a minimum of one video per week. Shoot lots of footage when you’re in production. Package it creatively to increase content for your channel. Recycle or repurpose content into making-of videos, bloopers, behind-the-scenes, recaps, best-of countdowns, trailers, Vlogs, comment videos and more. Create shorter versions of long-form content to act as teasers, trailers or previews. Provide content during the off-season. If you take a break from regular programming, stay connected to your audience during the downtime. Select which videos you’d like to actively publish to your subscribers, rather than simply uploading to your channel. Your channel should be active; promote new videos and other programming activity without overwhelming your subscribers with too much information. How often you upload and perform other activities can influence what shows up in your subscribers’ Guide, ‘My Subscriptions Feed’ and ‘What to Watch.’ ‘What to Watch’ is a personalised destination for each logged-in user? It isn’t simply a feed of their subscriptions; instead, it surfaces content that tailored to their viewing preferences and habits. Viewers can still see all subscription activity through the Guide, and My Subscriptions feed. To upload a video on YouTube it needs some requirements, the video length, quality of the video should be perfect. We should take some measurements. 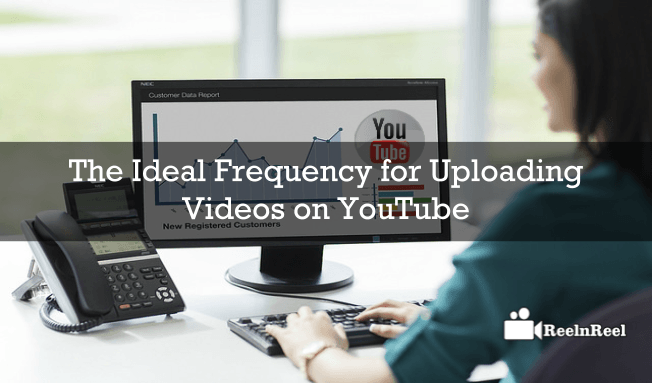 Here is the guide to the Idel frequency of Uploading Videos on Facebook.